This Recipe could not be easier or more delicious! Rinse beans and remove stems. Bring water to a boil in a medium sized pot and add green beans so that they are fully submerged. Cook for 3-5 minutes, remove from heat and drain water. They should be bright green and still somewhat crisp, unless you prefer them to be cooked more. Mix Miso paste and Tamari Sauce in a small bowl in preparation for pan frying. Prepare Garlic in whatever way you prefer (I always go for the press because it is so much easier than chopping). In a large skillet heat the oil over medium/high heat. Add beans and cook for about 3 minutes until their skin begins to blister. Add Garlic and cook for another two minutes as it releases its aromas, while mixing all ingredients. Pour Miso Tamari Sauce over beans and cook for another minute until everything is incorporated and heated through. 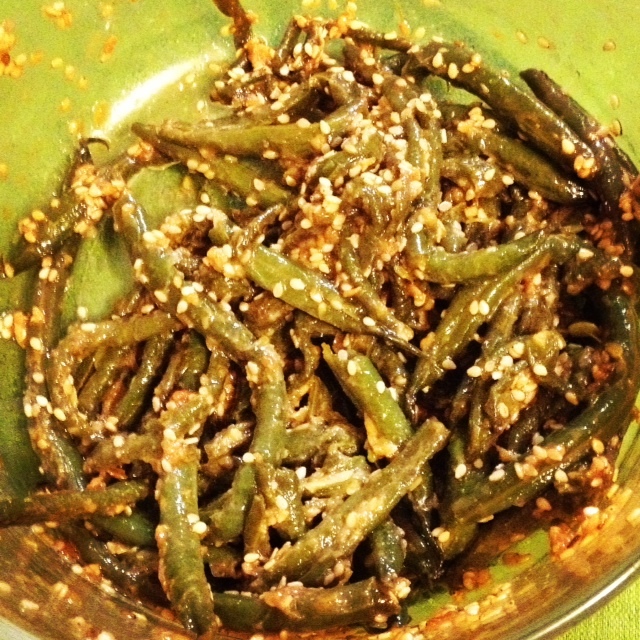 Remove from heat, sprinkle with sesame seeds and eat! 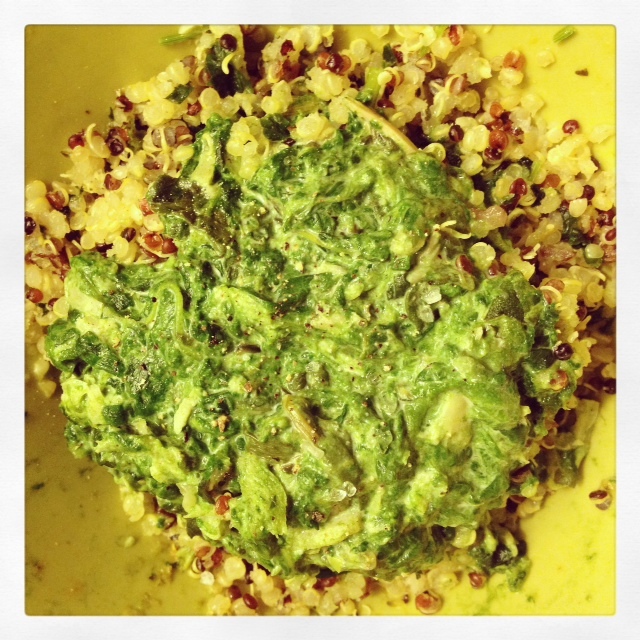 This can be a yummy side dish, or a whole meal if you add some grains like brown rice or quinoa. Its SO GOOD! What do you do with a pound of mushrooms if you love mushrooms and want to highlight them in a dish all their own? You treat them like escargot (which I never have and never will eat) and you roast them in butter, garlic and capers. They feel so decadent and fancy, and have a wonderful woodsy bite! 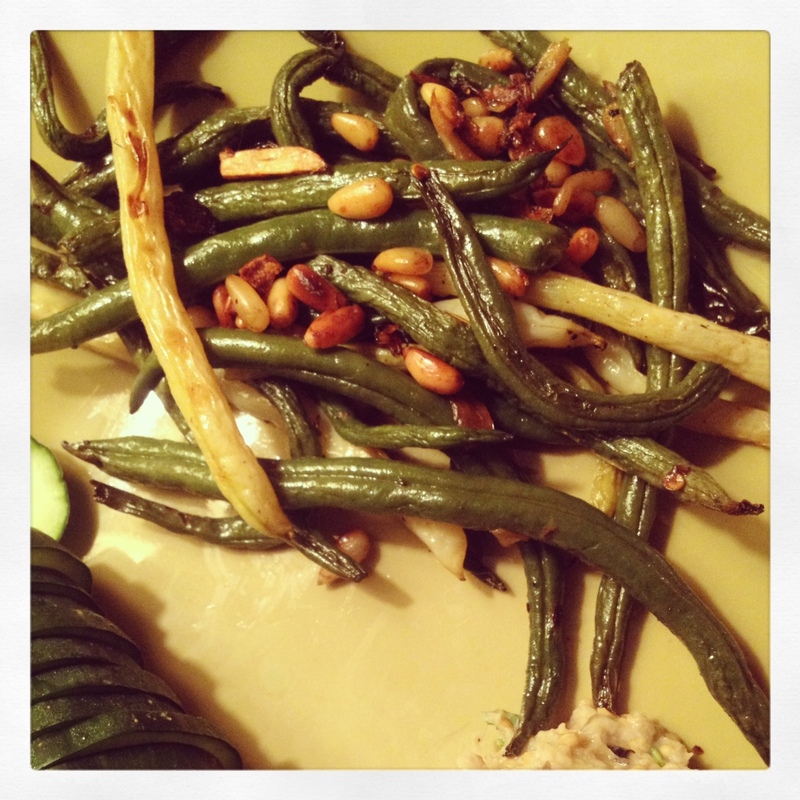 Another super simple and delicious recipe to add to your week night routine! 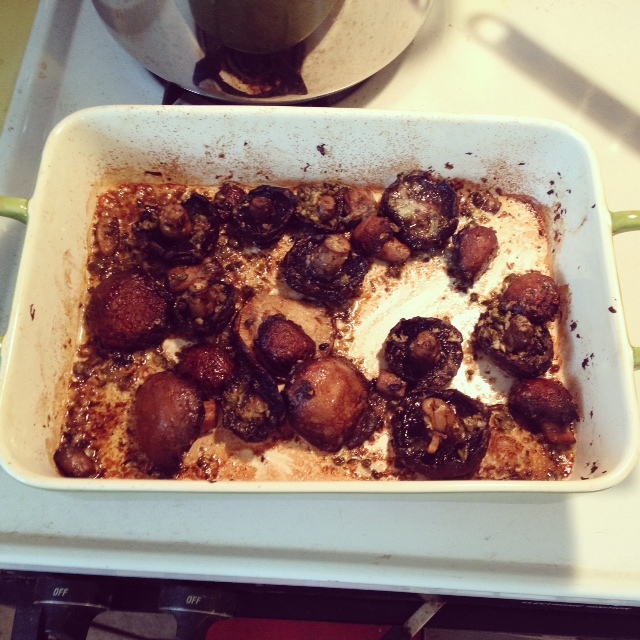 Toss Mushrooms with Capers, Oil, Garlic, Sea Salt and Pepper and place in a baking dish (1 1/2- 2 qt sized. Top with pieces of Butter and roast. Stir occasionally until Mushrooms are golden and tender, and a bubbly sauce has formed in the bottom of the dish, about 15-20 minutes. Stir in Lemon Juice and Parsley and serve immediately! Enjoy with a nice piece of crusty bread! Adapted from foodnetwork.com. Who knew something this tasty was so simple! I sometimes forget that the quality of the ingredients far surpasses the level of technical difficulty! Yum. I didn’t use any of the other veggies in the original recipe as I didn’t think it necessary, and was trying to use up my greens before they went bad. Making it as simple as possible cut the prep time in half! In a wok or large saute pan, add the Grapeseed Oil and allow to heat. Before it begins to smoke, throw in Bok Choy, Garlic, Tamari, Fish Sauce and saute until wilted and well combined about 2-4 minutes. Add Pepper to taste and serve! I enjoyed this with other veggie sides, but to make a more sufficient dish add a grain or use the original recipe which includes mushrooms, onions and peppers with the yummy asian greens. Sea Salt and fresh ground Pepper for taste. This does not even feel sufficient enough to be called a recipe for me! I pretty much took a large handful of spinach, another large handful of greens (beet greens and radish greens) and sauteed them in a pan over medium heat with a bit of Oil, a pressed clove of garlic and about an 1″ of ginger minced. Thats it! You can get creative with your greens, your oil, the amount of aromatics (Garlic and Ginger) and if you want to add either salt or pepper to enhance the flavors of the dish. I made these greens to go with my macrobiotic bowl and so I didn’t feel I needed to add much else to make this delicious besides my Miso Ginger Dressing. Step 1: Bring a large pot of salted water to boil. Add cleaned, de-stemmed, and ripped greens into boiling water. Step 2: Cook greens on Medium heat, simmering for 4-6 minutes (depending on their texture, thicker greens need to be cooked longer). Then remove from pot, either wash with cold water or place in ice bath to cool, and allow to drain. Step 3:While greens are cooking smash Garlic and Ginger in one of many ways- either use a garlic press to press garlic and use a medium grater to grate ginger, use a mortar and pestle to grind ingredients, OR use a meat tenderizer and some saran wrap to tenderize your aromatics nicely. I used a mortar and pestle since I recently got one, but there are many ways to smash your ingredients. I’d love to hear about your most creative smashing techniques!!! Step 4: While greens are draining, combine half and half, Garlic and Ginger in a small saucepan and bring to a boil. Reduce to a simmer and cook cream until reduced significantly and thicker in texture 3-5 minutes. Remove from heat. Step 5: Wring out all greens, making sure to remove as much water as possible! Add greens to pot with cream, garlic and ginger and place over medium-low heat to combine. Step 6: Heat and stir greens until all ingredients are evenly mixed and warmed (but not longer, as the greens will begin to release liquid with more cooking). Add Salt and fresh Pepper for taste and serve! Pictured above with my Savory Quinoa! 1. Heat Butter in a soup pot over medium heat. Add chopped onion and minced garlic and cook until aromatic (about 3-5 minutes). 2. Add Broth, Kale, Cabbage, and herbs and bring to a boil. Lower to a simmer and cook for 25-45 minutes on medium-low to cook everything thoroughly and allow flavors to develop. 3. Allow soup to cool and use an immersion blender or standing blender to puree. Serve to eat or store for later enjoyment! I am sorry I do not have a photo of this dish at present. The next time I make it (or when I defrost what I froze for later) I will make sure to add it on. I know it can be hard to want to eat something you haven’t looked at! Preheat oven to 400 degrees F. Toss all ingredients in a large bowl until evenly coated with oil. 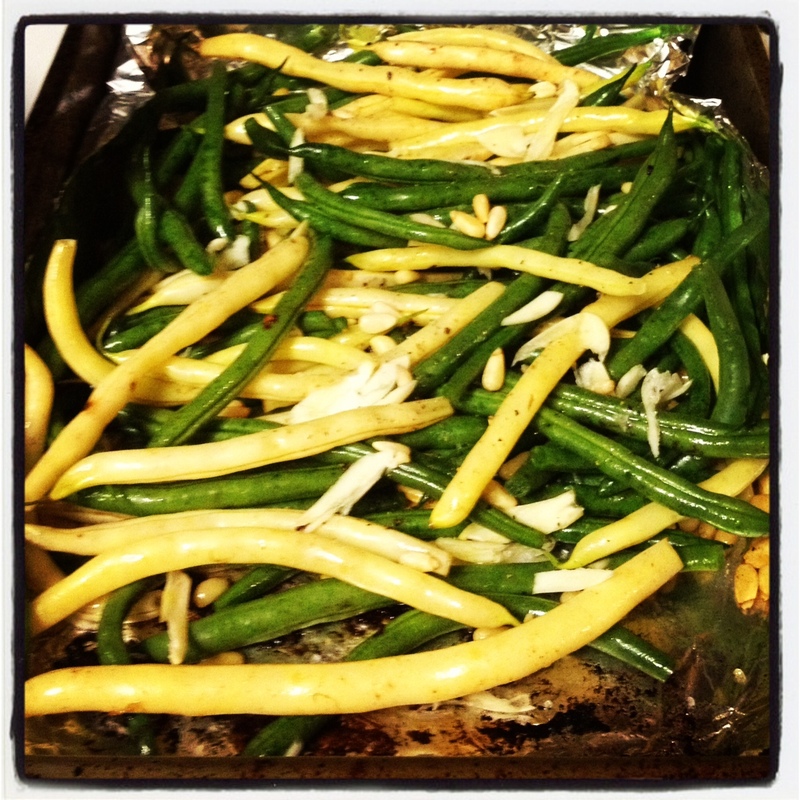 Line large baking pan with aluminum foil and spread green bean mixture out evenly in pan. Roast for 20-30 minutes until browning begins. Make sure to turn beans halfway through roasting and continue to check garlic and pine nuts so that they don’t get stuck and burnt on the bottom of the pan. Let sit to cool and serve!